Electronics giants, Samsung, will be showcasing their latest range of products at the 8th Annual Samsung Africa Forum happening this week as from 23rd - 25th of February 2017 in Cape Town, South Africa. The event will be held at the Cape Town International Convention Centre, South Africa. With the expected continuous growth of the African market in 2017, the company aims to lead the continent’s development in the consumer electronics space. Samsung Africa Forum 2017 is a platform to demonstrate Samsung’s smart technology, products, and design for the year ahead. 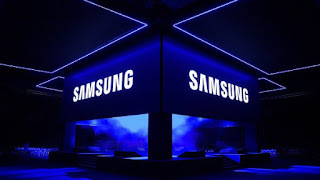 “Africa is a vital part of Samsung’s global business and the company will utilize this event to present products selected specifically for the unique needs of our customers,” says Sthe Shabangu, Lead: PR, Public Affairs and Corporate Citizenship at Samsung Africa Office. The theme for this year’s event is ‘One Pride’ inspired by The Lion’s ability to work as a family, a pride, or a unit for the betterment of all its members. According to the company, the theme is also symbolic of the pride the company takes in its devices and appliances. “Samsung Electronics values building strong relationships with our customers, partners, and stakeholders in order to succeed and grow in this unique and exciting consumer landscape. The 8th annual Samsung Africa Forum affords us the opportunity to share our vision, commitment and world-class innovations in technology and design with our partners across the region. More crucially, it allows us to demonstrate that together, we can move forward with pride, passion, and profitability,” concluded Shabangu. The move comes as Samsung works hard to sanitize last year’s Galaxy s7 fiasco that saw the giant electronics maker recall over a million of its flagship Galaxy S7 phones sold worldwide after reports of the phones catching fire and injuring their owners. The company stopped all sales and shipments of the Note 7 and worked with government agencies and cellular carriers around the world to provide refunds and exchanges for the phone. It further proceeded to ask all users to shut down their replaced note 7 devices after as many as five of the supposedly safe replacement Note 7 phones caught fire as well.